Sunday, September 8 is Grandparents Day and what better way to celebrate than to honor a grandparent you know by nominating them for Eugene’s Extraordinary Grandparent(s). NOMINATE NOW! This contest seeks to find grandparents in the Eugene/Springfield area who go above and beyond the “normal” duty of grandparenthood. 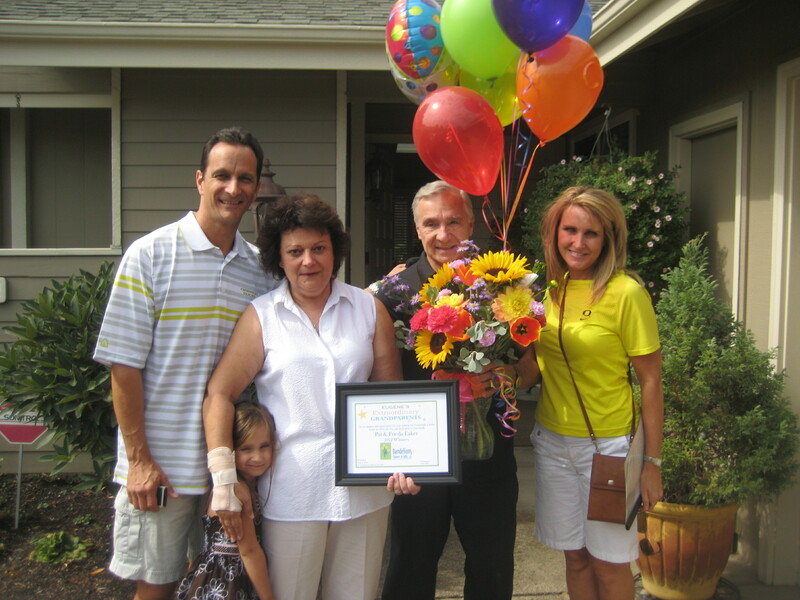 The grandparent(s) nominated in the winning entry receive a wonderful plaque, flowers and balloons courtesy of Dandelions. Click Here for your nomination form. 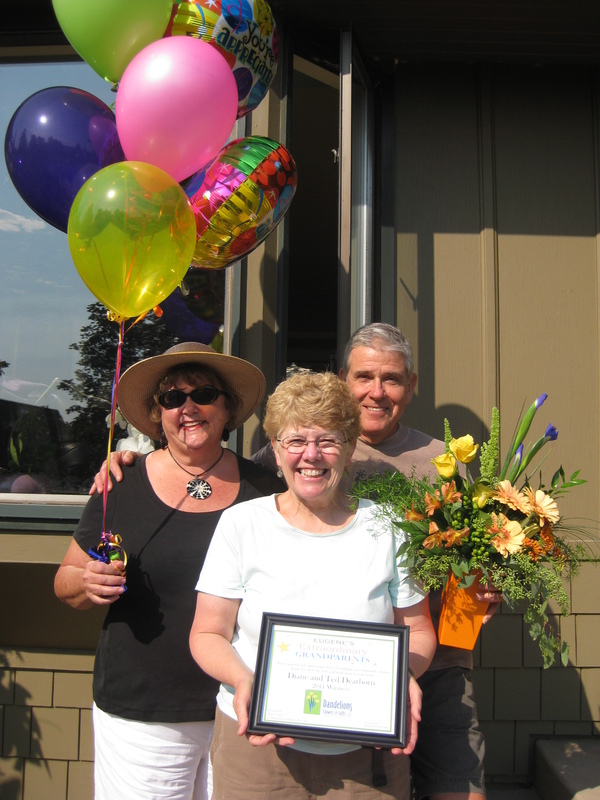 Dandelions is hosting the 2nd Annual Contest for Eugene’s Extraordinary Grandparent(s). Nominate your grandparents or a grandparent you know who makes a difference in the lives around them for a chance to win the 2011 title just in time for Grandparent’s Day on September 11th. 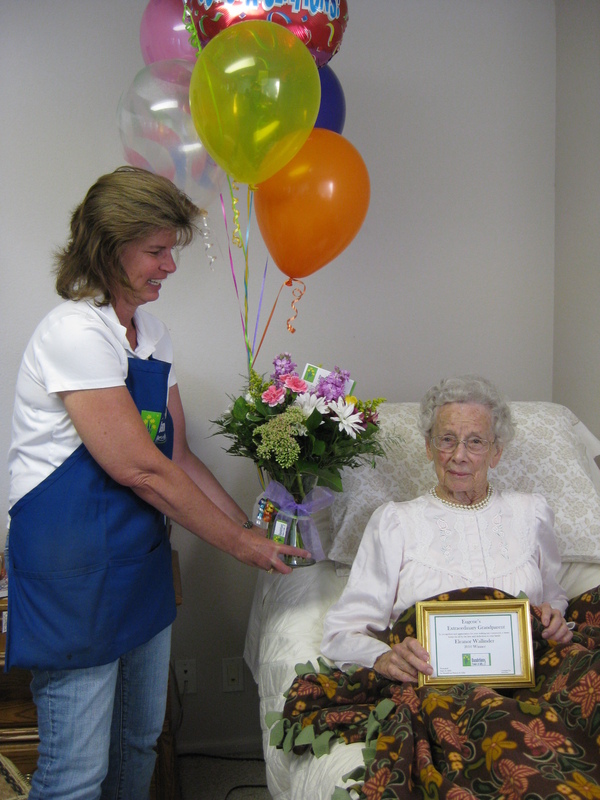 The winning nominee receives a fresh floral arrangement and balloon bouquet from Dandelions and a certificate framed for display. Entries must be received by Wednesday September 7 so download your form here. The winner (and the person who nominated them) will be notified by September 9. Thank you to everyone who entered a nomination! It was inspiring to read about all of the wonderful grandparents who give so much to those around them.